I am so thankful that I am living in Italy in general but extremely lucky to be here while fashion month is happening. 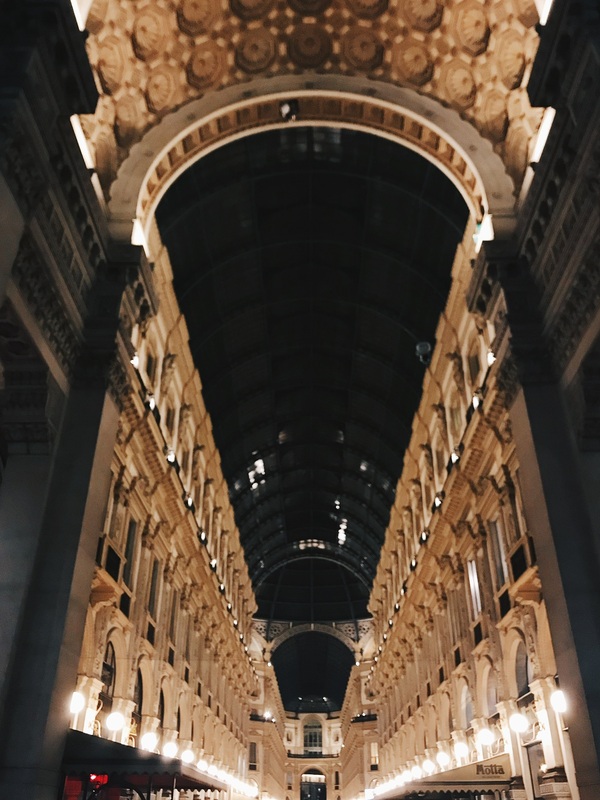 I decided to head to Milan for the weekend during official Milan Fashion Week to check everything out and see if I could get into any shows or events. Milan is about an hour and a half train ride from Florence so after class on Thursday afternoon I headed there immediately. 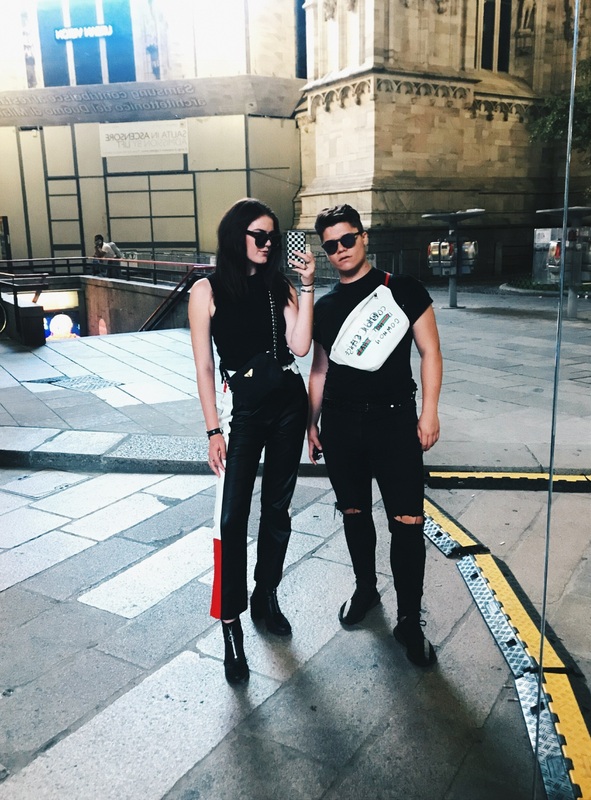 I learned so much on this trip about fashion week and myself and was constantly inspired by outrageously chic, and extraordinary street style. For my first Milan Fashion Week outfit, I went for an edgy, bohemian vibe. I love the flowy rust colored dress mixed with the harsh black accents. The lightweight fabric of this midi was absolutely necessary for the sweltering heat we encountered on this day. I would have preferred to carry a black purse but for this fit but, I chose function over fashion and needed some more storage in my bag of choice. 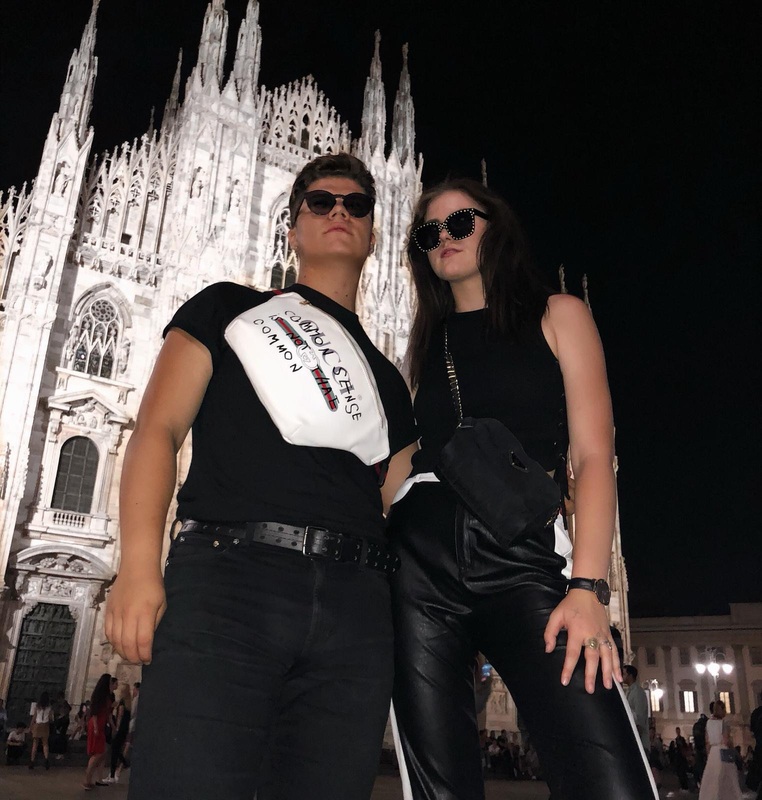 Our first full day in Milan, we headed out for the city centre where the famous Milan Cathedral, or Milano Duomo, is located. 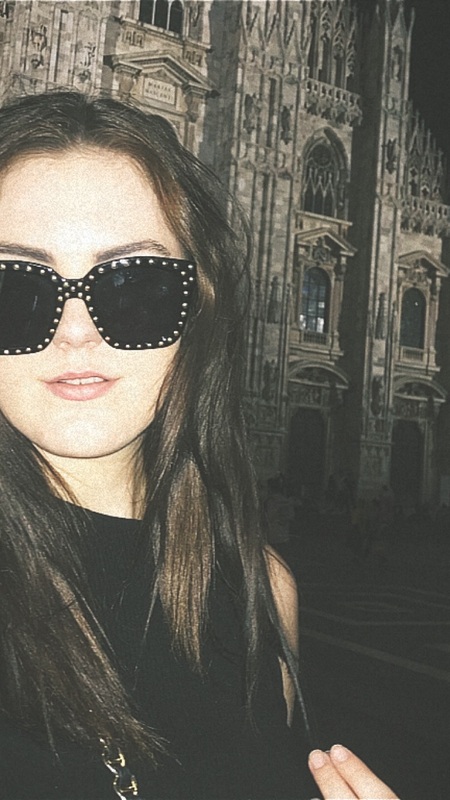 Since we weren’t invited to any shows or events we kind of just relaxed and tooled around Milan. We stumbled upon an event that Vogue Italia was putting on near the Brera district and that was free to the public. They were showcasing student fashion designers’ creations in a showroom type setting. It was really unique to see young artists’, like myself, work. Later, we found the official list of showtimes and locations and basically just stood around outside and pretended to look like we knew what we were doing. Street style photographers shot us in our outfits and I even got interviewed by Amazon Prime’s only fashion network, FNL. My second and most favorite look I wore for Milan Fashion week is the one below. I am obsessed with the monochrome color suit look. If you know me, or have been following me for a while, you know that I love black and neutrals but have been trying to branch out. This corduroy suit was one of my best Zara finds to date. It’s bold and makes me feel confident. I was determined to wear this to MFW despite the hot weather but thankfully it did cool down a bit and we had a nice breeze. 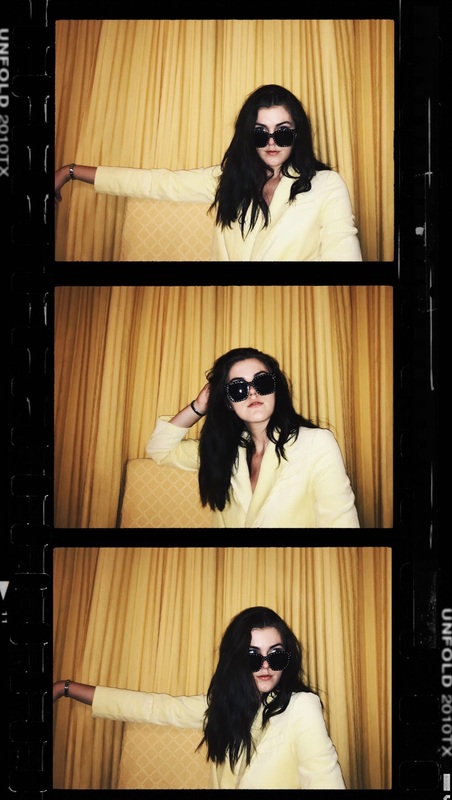 These photos I took the night before because of how excited I was about my yellow suit. 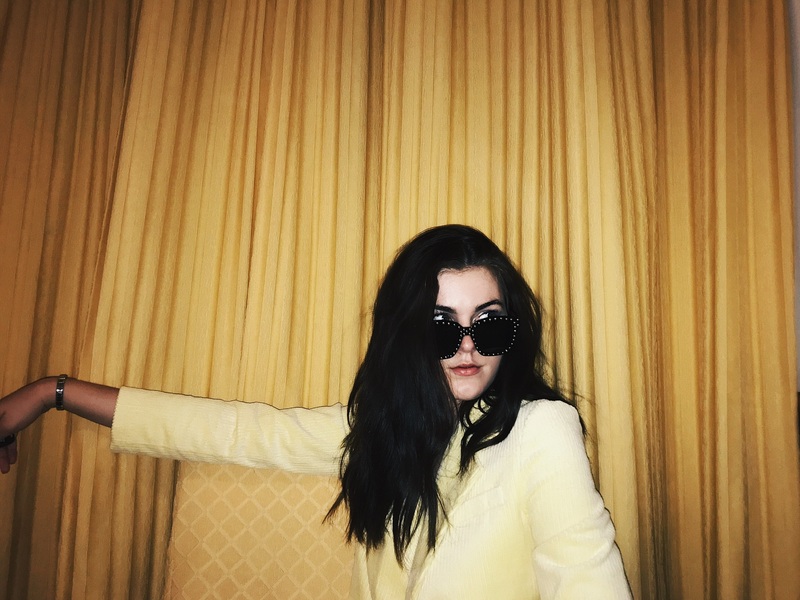 AAANNDDDD the hotel I stayed at (Hotel Cinque Giornate) had matching curtains so I couldn’t say no to a self timer photoshoot! During day 2 of MFW, we had a more relaxed day and just enjoyed Milan. We did wait outside of one show and got photographed which was nice and it was so inspiring to see others’ street style. This trip has made me want to restart my whole wardrobe, yet again. I’ve worn this pink python jumpsuit from Free People so so many times before but Milan has never seen it so I brought her back out! Outfit repeater always. If you plan on going to a fashion capitol during fashion week, my best advice to you is to be bold; not only in your style but in the way you act and present yourself. Obviously the way you dress is extremely important, I mean it is fashion week, but if you present yourself as a confident individual who seems to know what they’re doing (even if you don’t) you will be noticed by others. Don’t be shy to ask the person at the door if there is any way you can watch the show or if they need volunteers or really anything at all. Talk to photographers and reporters and, this sounds bad, but shove your name down peoples throats. 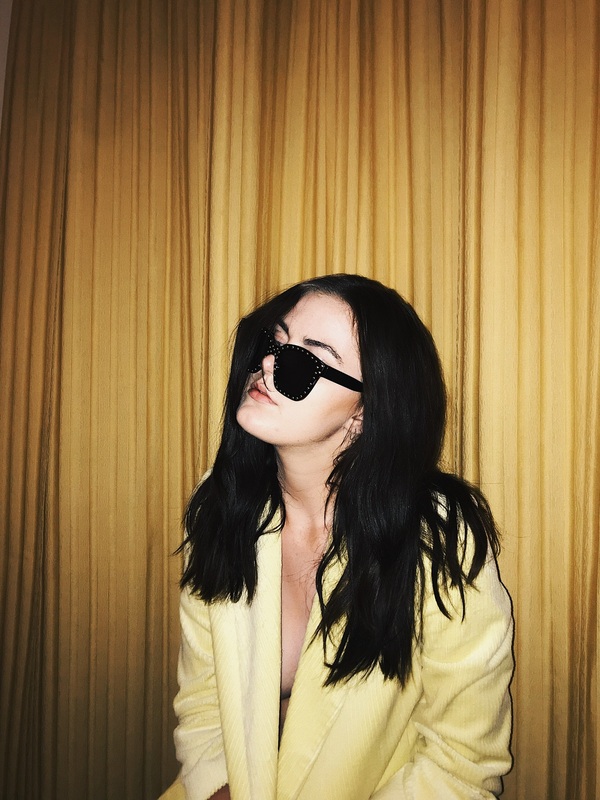 Name recognition is one of the most important things in the fashion industry and you should be confident in telling people who you are. I handed out so many business cards to people because you never know who someone is going to be. Another random thing you can do is pretend to be a photographer or reporter. I did this and after I took a photo of someone, I briefly introduced myself and gave them my card. Like I said, you never know who you’re going to meet. I learned a lot about myself and my passion on this trip and although I didn’t get into any shows, I now know more of what to expect and what to do better hopefully next time I have an opportunity like this.